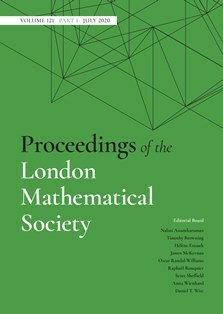 The London Mathematical Society's Women in Mathematics Committee was awarded the Royal Society's inaugural Athena Prize in 2016. (Photo courtesy of the Royal Society). 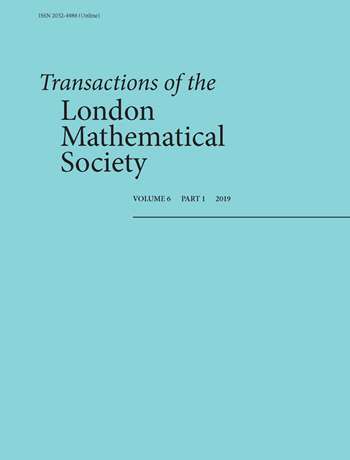 The London Mathematical Society is committed to actively addressing the issues facing women in mathematics. It is concerned about the loss of women from mathematics, particularly at the higher levels of research and teaching, and at the disadvantages and missed opportunities that this represents for the advancement of mathematics. The Council Statement on Women in Mathematics recognises the need to give active consideration to ensuring that men and women are treated equally in their prospects, recognition and progression. Follow @womeninmaths on Twitter for updates on events and news on gender equalities in STEM. Join the UK Women in Mathematics Linked In Group to connect with other UK women working in mathematics or using mathematics in industry. The Athena Forum has published a report on Workload Allocation Models. 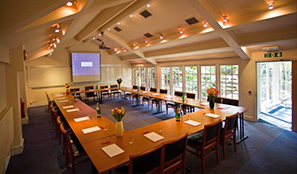 The LMS Council has published some Advice on Diversity at Conferences and Seminars. UK Women in Maths LinkedIn Group now available helping to connect women in the UK working in mathematics or who have a mathematics background. 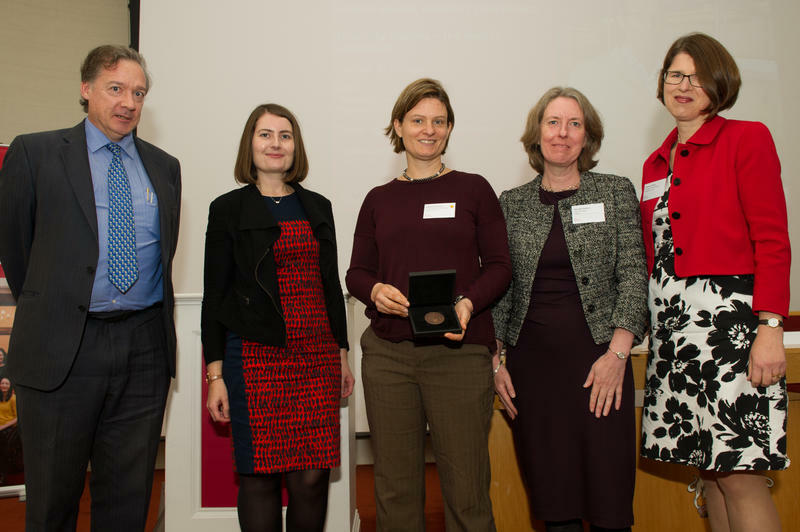 The London Mathematical Society's Women in Mathematics Committee was awarded the inaugural Royal Society Athena Prize in 2016. The Women in Mathematics Committee has published a Statement on the EU Referendum. The Society has published updated benchmarking data on the gender balance in UK mathematics departments for the academic years 2011/12 through to 2014/15. This data updates the data previously published in the report Advancing women in mathematics: good practice in UK university departments. The updated data and other resources for departments can be found here. The Athena Forum has published a statement on tax exemption for childcare costs incurred while undertaking work-related training. 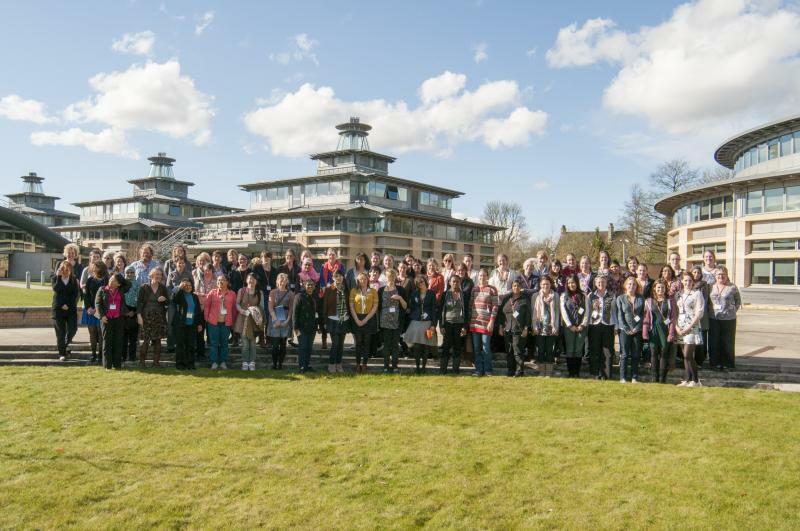 'Addressing the underrepresentation of women in mathematics conferences'. This article considers how to address this underrepresentation and provides some practical suggestions for organising conferences in ways that are equitable for female mathematicians. The Athena Forum has relaunched its website. 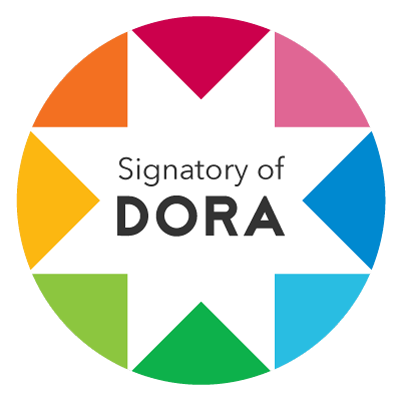 The Forum informs the wider debate on diversity in STEMM through events and other activities that advance the understanding of the role of women in academic STEMM. Women mathematicians at the University of Nottingham have made seven short videos, to help inspire the next generation of mathematicians. Research Councils UK has published its briefing on Maternity, Paternity and Adoption Leave and Pay. House of Commons Science and Technology Committee lauches its report on 'Women in Scientific Careers'. STEMNET has launched a new online resource, 'Real Life Maths', in which six diverse and inspirational female STEM ambassadors talk about the importance that maths plays in their role on an everyday basis. The Council for Mathematical Sciences responds to the Science and Technology Committee's inquiry into 'Women in STEM', with a response prepared by the Women in Mathematics Committee. Athene Donald writes about 'Changing the Departmental Mind-set' in relation to Athena SWAN Awards. Gwyneth Stallard discusses women in mathematics on Woman's Hour. The Guardian has published an article on Why are there so few female maths professors in UK universities? The LMS launched its report Advancing women in mathematics: good practice in UK university departments at the House of Commons on 27th February. More details of the launch and the report are given here. RCUK announces its policy to support equality and diversity in research.